gpx2svg does, as the name implies, convert GPX data to SVG data. The Mercator Projection is used to translate the GPS latitude and longitude values to Cartesian coordinates. It's the same projection widely used by different map providers, e. g. OpenStreetMap, Google Maps or Bing Maps and programs that deal with geodata, like GpsPrune, JOSM or Viking. By default, gpx2svg tries to combine as many track segments as possible to combined paths, so that the output is as usable as possible. If respective content is found, three groups are created: one with all single points, one with all closed paths and one with all open paths. gpx2svg is written in Python 3 and only uses the standard library without further dependencies. That means you just have to have Python 3 itself installed to be able to use it. Thus, it will most probably not only run on Linux, but also on Windows and Mac. It's just one single file. No installation or compiling has to be done. Here some screenshots. 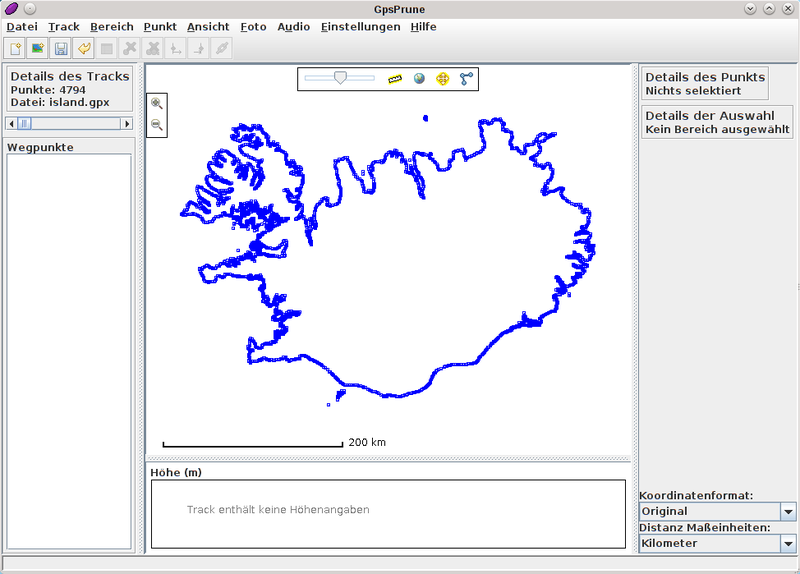 The first one is a GPX file containing the coastline of Iceland (extract from OpenStreetMap) viewed with GpsPrune. 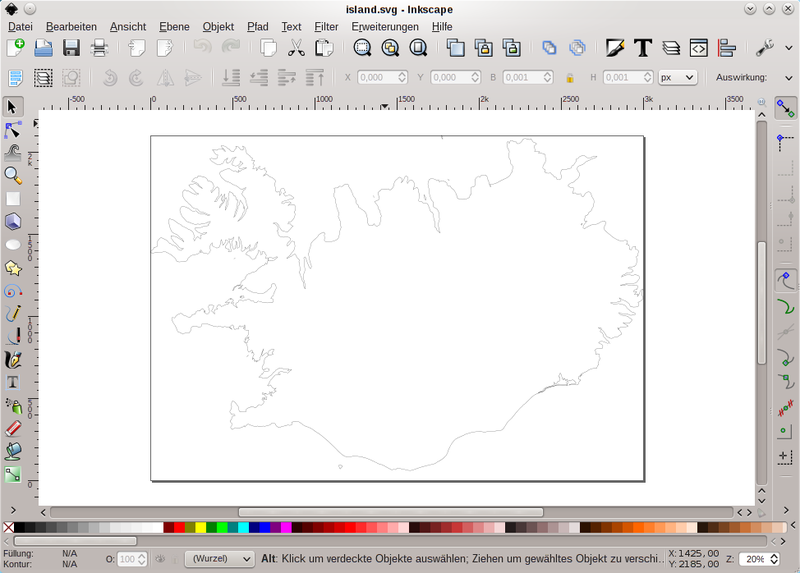 The second one shows the unchanged SVG output of gpx2svg viewed with Inkscape and the third one shows the same data with changed border width and filled with a colour (notice that this was possible without joining any nodes :-). Additionally, the paper size had been increased. The current state of the code can be checked out from git://git.l3u.de/gpx2svg.git (see also http://git.l3u.de/?p=gpx2svg.git). Please always patch against git master!